Who better to talk about the game and the game's best than the players themselves? The NHLPA has teamed up again with CBC's Hockey Night in Canada to survey players from around the league to find out where they stand on a variety of key topics in the second edition of the NHLPA/CBC's Hockey Night in Canada Player Poll. Whether it's selecting the smartest player, the most underrated player, the faster player, or the one player you would select to start a franchise, more than 250 NHLPA members have voiced their opinion on a variety of topical questions. This is the second edition of the Player Poll, following last season which saw responses from players across the league, answering 28 questions on a wide range of topics. Fans are also encouraged to join-in and let their thoughts be known, simply by visiting www.playerspoll.ca and vote on the same questions that the players did. Results of the poll will be released on Sunday, February 19th. During CBC's Hockey Night in Canada broadcast at 6:00 PM ET, which pits the New Jersey Devils versus the Montreal Canadiens, the remaining results will be revealed and many of the results will be discussed on the broadcast. And if last year's player results are any indication, the responses will be interesting, informative and are bound to create plenty of discussion. Will Marian Gaborik, who netted a hat trick, four points and MVP honours at the recent All-Star Game in Ottawa, take the top spot in two Player Poll results again this time? The speedy New York Rangers forward was voted the best skater (26 per cent) and faster skater (37 per cent) in 2011. His competition this year could come from Ottawa defenseman Erik Karlsson, who clocked in at 13.021 seconds at the All-Star fastest skater competition, or perhaps from another pair of defencemen, Kris Letang and Brian Campbell, who also flashed their fancy skatework in Ottawa, will garner attention. Gaborik wasn't the only player to be given top ranking in two results. Fellow Slovakian Zdeno Chara, captain of the Boston Bruins, captured the vote for ‘Hardest Shot,' (44 per cent) while the blueline was also pegged the blueliner as the ‘Toughest Defenceman To Play Against' (34 per cent). Pavel Datsyuk, Detroit's dynamic two-way superstar took top honours in ‘Hardest to Take The Puck Off' (36 per cent) and ‘Cleanest Player' (28 per cent) results last season. In last year's Player Poll, Datsyuk was named in the most different results of any NHLPA member, 10, with Sidney Crosby of the Pittsburgh Penguins being mentioned in nine. Crosby received more than 50 votes in seven different results. The Pens' captain finished in the top slot in the voting in five results — smartest, toughest forward to play against, toughest player overall to face, best role model, and player to start a franchise with. Detroit defenceman and future Hall of Famer Nicklas Lidstrom, who recently played in his 1,550th regular season NHL game, placed in nine different results, while Alexander Ovechkin, a three-time recipient of the NHLPA's Ted Lindsay Award (the Most Outstanding Player, as voted by the members of the NHLPA) received votes in eight, including the pick of NHL backstoppers as the toughest skater to face. 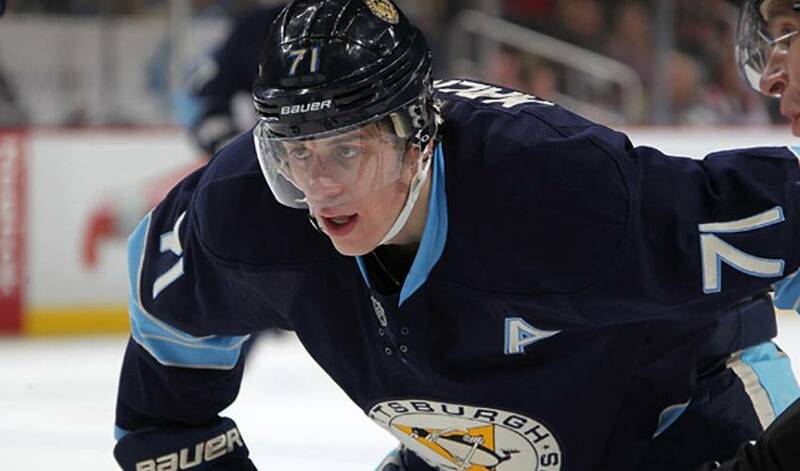 Current points-leader, Evgeni Malkin, Philadelphia's offensive standout Claude Giroux or Tampa Bay's Steven Stamkos, who has the most goals of all skaters in 2011-12, could be some of the names that catch the eye of their fellow players this time around. The Player Poll also delves into other interesting and engaging topics. In 2011, 98 per cent of NHLPA members voted that fighting should not be completely banished from the game, while 40 per cent chose Montreal's Bell Centre as their favourite rink to play in, and 37 per cent of respondents selected Edmonton's Rexall Place as the arena that has the best ice. Which of your favourite players will make the list this year? Be sure to check-out the website www.playerspoll.ca on Sunday and tune-in to CBC's Hockey Night in Canada broadcast to find out!